REEF. RF-002199ICR. LITTLE AHI. ICE CREAM MULTI.Whimsical and colorful just like those perfect days on the water milkshakes and sandcastles. 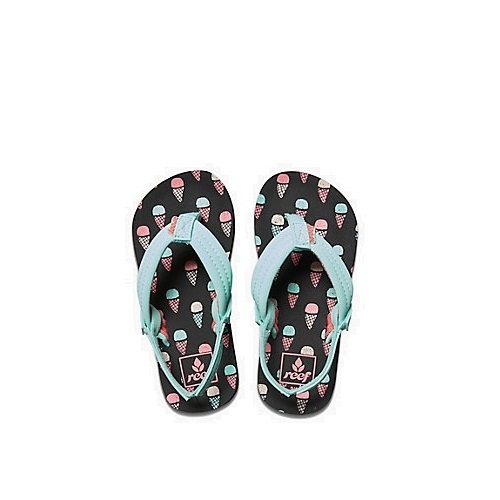 The Little Ahi sandals feature a faux leather strap with soft polyester webbing lining for comfort a printed contoured EVA footbed in four awesome styles and a durable high density EVA outsole.